In this video I take you on a trip over the Rainbow Bridge to the island of Odaiba. 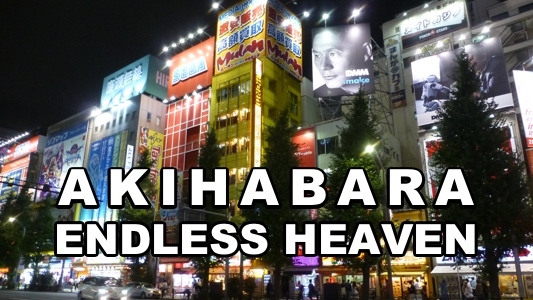 I guess you all have seen pictures and videos from Akihabara before. Always sunshine with blue sky and happy people everywhere.Well, as you can imagine it is not always like that. When we arrived in Tokyo it was already evening and the rain didn't want to stop.But the bad weather did not stop us from going straight to Akihabara anyway. Because it is always a good place to be. Finally I found a way to include my flickr photo albums in this website. The first things I want to show today are pictures from my trip to Akihabara, Tokyo. It's been over a year since I've been in Japan, but not all of my videos have been edited yet. Most people probably think that Tokyo is a crowded metropolis, which never comes to rest, but the Japanese capital has other sides. There are many quiet districts with parks and temples where you can't feel the hectic pace of the big city. 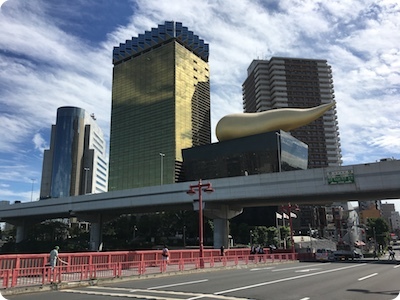 Our accommodation was in Asakusabashi, very close to the river Sumida and therefore ideal for a morning walk along the waterfront. For a non-Japanese, many things are strange and unusual in Japan, but Akihabara is even more different. Maybe you've heard about it or seen pictures, but this is a place you have to experience. It's incredible. Named as »Electric Town« by the Japanese, Akihabara has everything you can imagine in new and old electrical appliances. Other shops have specialized in accessories or retro computer games. At the same time, Akihabara is a popular meeting place for anime and manga fans, the so - called Otaku. In this shopping district, they will also find everything the heart desires. There are countless small shops for manga, cosplay accessories, model making and maid cafes. Buying second-hand toys is also very easy. There are many special locations for that. Some of them even on several floors. In this video we will visit the peaceful Nezu Shrine in the heart of Tokyo. Follow the tunnel of red Torii gates up the hill and enjoy the view. Back home from Japan. I tried hard to squeeze as much Tokyo as possible in this first video.